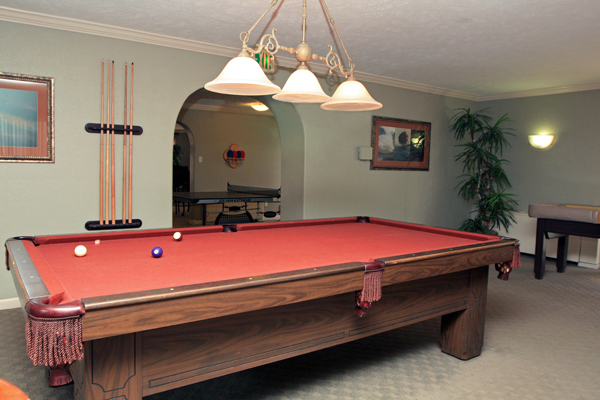 The Manchester offers residents more than other Denver apartments because of its emphasis on community. The Manchester creates a neighborhood, not just a collection of apartments. 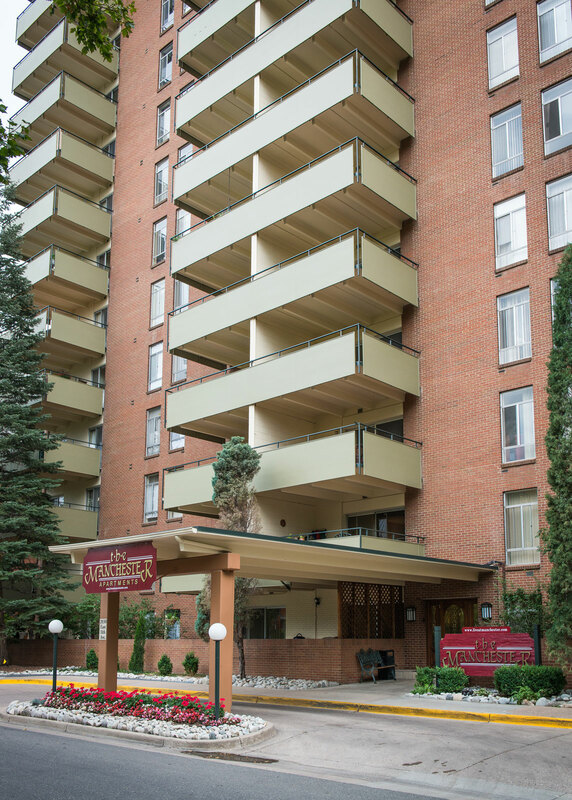 Located on the border of Cheesman Park, the Manchester gives residents access to the Botanic Gardens, City Park, and the vibrant arts scene of the area. Whether you’re looking for 1 bedroom apartments for rent or 2 bedroom apartments for rent, the Manchester offers you the chance to put down roots and stay awhile, a rare thing for most apartments in Denver, CO. At the Manchester, you can create a home and a community that nurtures connection to other residents and to the surrounding area. 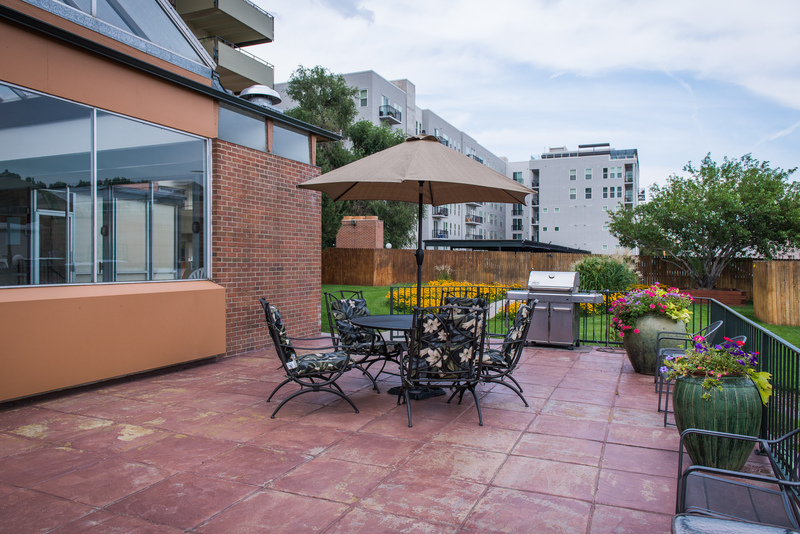 The Manchester not only offers you an excellent location, in the heart of Denver’s arts district and directly adjacent to Cheesman Park and its many walking trails, it offers you an authentic connection to the area and a chance to grow with the community living in the building with you. 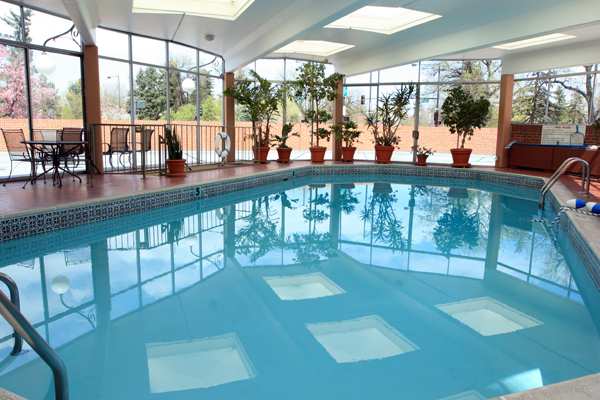 The Manchester offers affordable apartments in downtown Denver for socially active people. 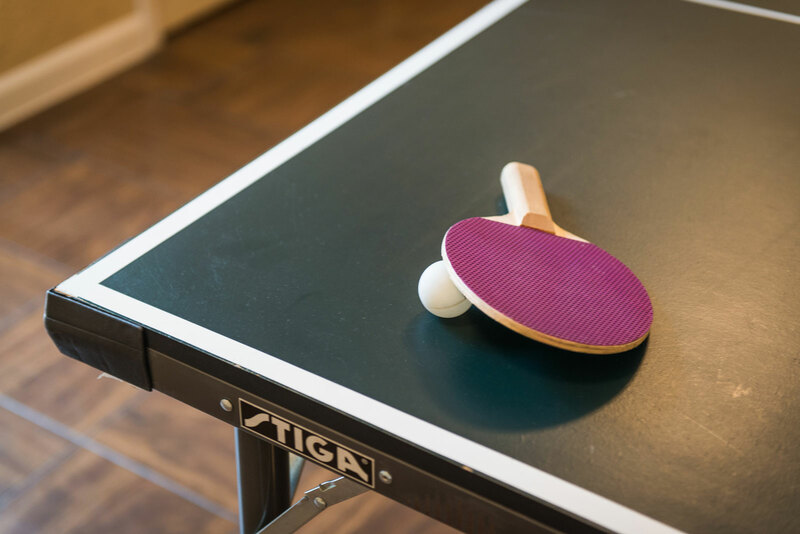 The Manchester was designed to give people the chance to connect with each other and build lasting friendships with those they share the building with. With luxurious common areas and a footpath to the park, there are endless opportunities to share in the fun with your neighbors. The Manchester is in the heart of Capitol Hill, one of the fastest-growing neighborhoods in Denver. As one of the most affordable downtown Denver apartments, you can secure your spot in this vibrant and exciting area for the future. 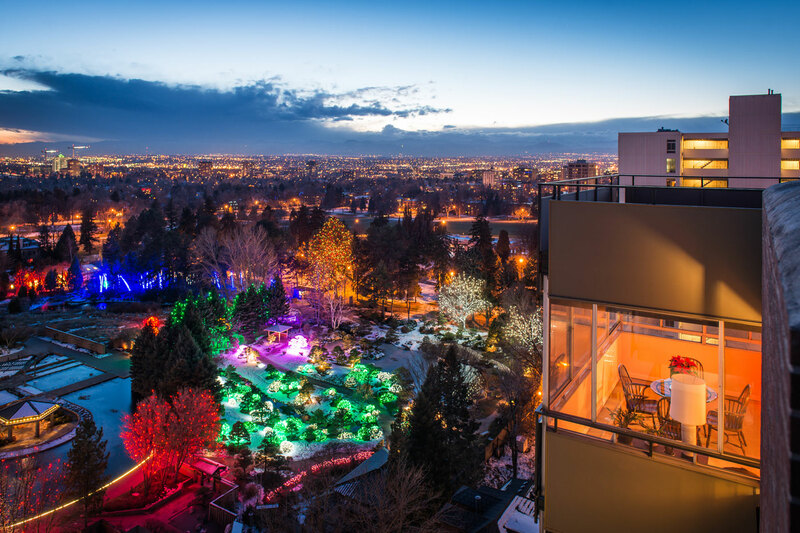 With expansive balconies overlooking the city lights and the mountains, and a private garden area for residents, you can enjoy all of the natural and social trappings of the Cheesman Park and Capitol Hill neighborhoods. 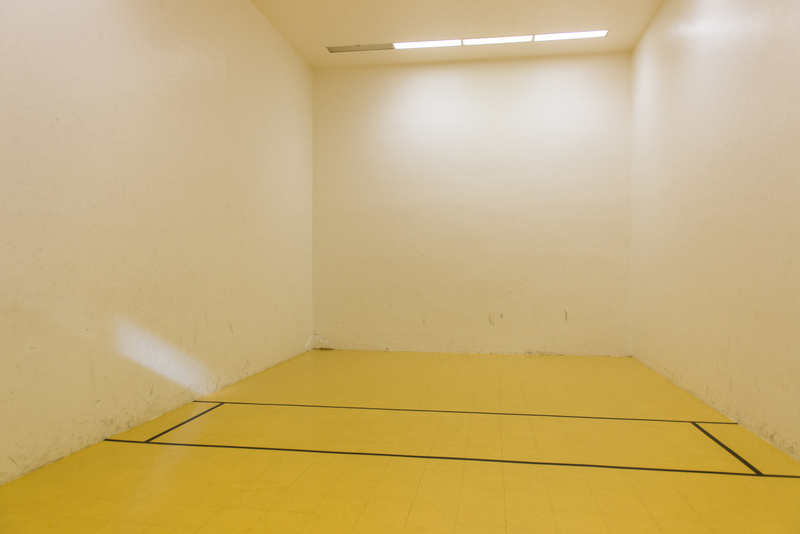 Come check out our available options to reserve your spot in this growing community. Laundry services on each floor with re-loadable laundry cards: no more coins! 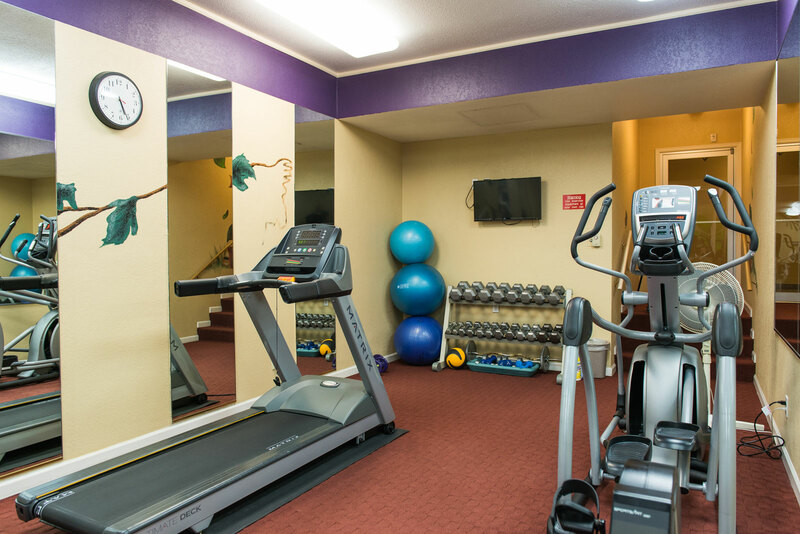 In addition to these many facilities, the Manchester offers residents access to beautiful natural areas, including a private garden area, and Cheesman Park. 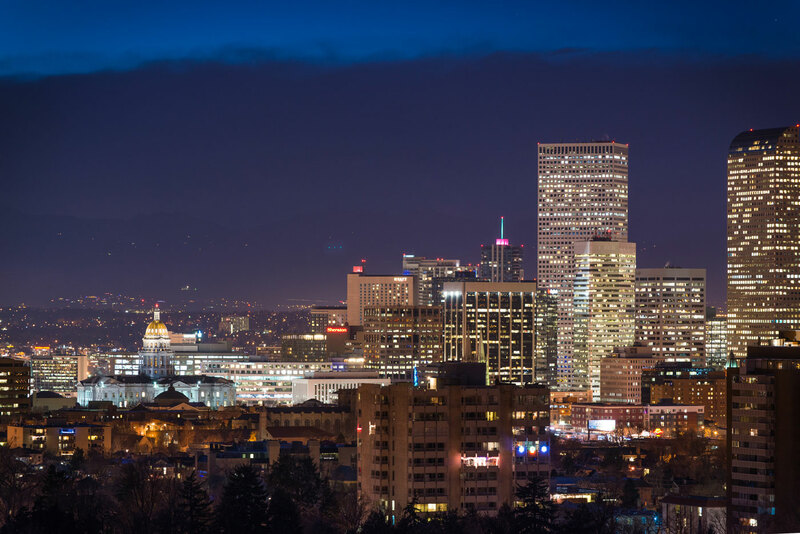 Residents can also walk to many restaurants and bars from their Denver apartment. 2 bedrooms, 2 bathrooms, dining room, living room, master bedroom with exclusive access to full bathroom, walk-in closets in both bedrooms, balcony, and kitchen. 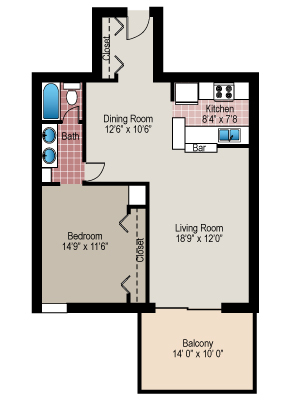 1101 square feet. 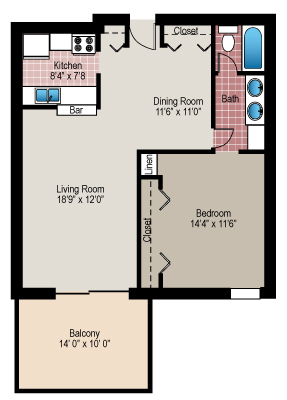 1 bedroom, 1 bathroom, spacious living/dining room, large bedroom, balcony, walk-in closet, pantry, and kitchen. 798 square feet. 2 bedrooms, 2 bathrooms, dining room, living room, small balcony and large balcony, walk-in closet for the master bedroom, private access to bathrooms in both bedrooms, fireplace, kitchen, and bar. 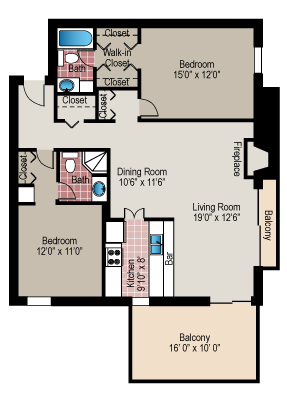 1101 square feet. 1 bedroom, 1 bathroom, living room, dining room, kitchen, bar, balcony, and private access to the bathroom. 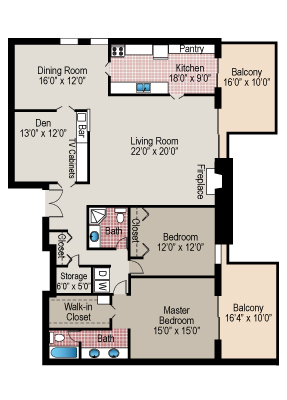 741 square feet. 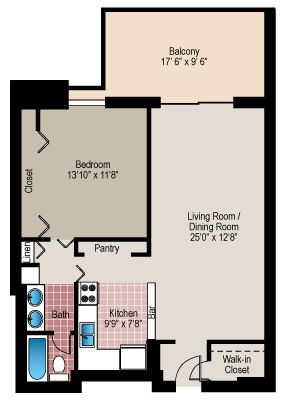 1 bedroom, 1 bathroom, dining room, living room, kitchen, bar, and balcony. 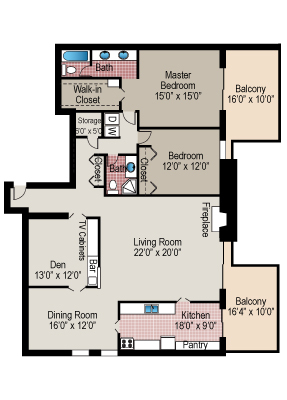 741 square feet. 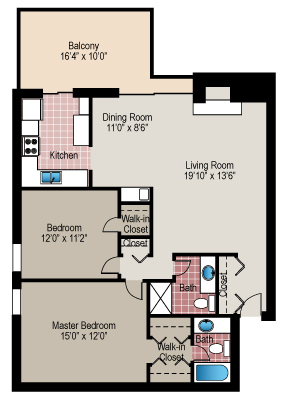 2 bedrooms, 2 bathrooms, dining room, den, living room, two balconies, fireplace, walk-in closet and private bathroom for master bedroom, kitchen, storage area, bar, and pantry. 1877 square feet. 2 bedrooms, 2 bathrooms, living room, den, dining room, bar, kitchen, laundry washer and dryer, two balconies, fireplace, walk-in closet and private bathroom access for the master bedroom. 2250 square feet. The Manchester is located at 2030 E 11th Ave, Denver CO 80206. 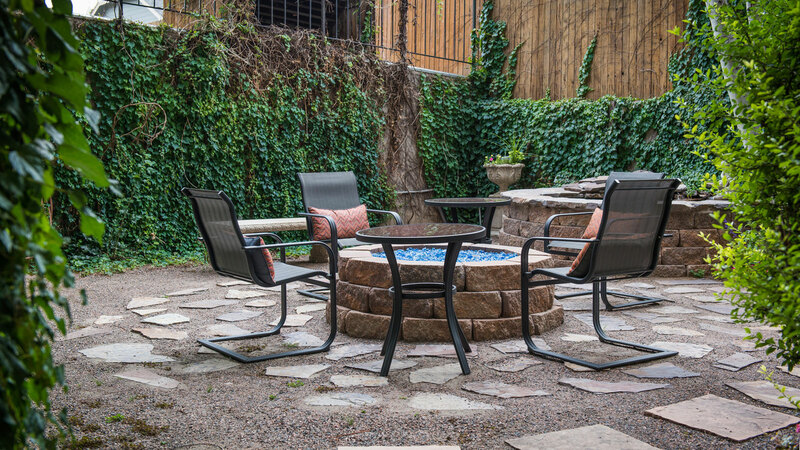 Stop by our office or call us to schedule a tour of one of the best Denver rental apartments in the city. The Manchester nearly sits on the grass of the Botanic Gardens and offers one of the best views of the city in the neighborhood.